Offering you a complete choice of products which include ayurvedic pharma franchisee, dengue care capsule, pharma franchisee, pharmaceutical distributors, asthma care capsule and dietary supplements. Ayurveda Company to have been granted, the International Certification in the form of ISO 9001 2000, G.M.P. and FDA Certifications. Description : - Dengue is type of disease that causes flu–like illness. It is caused by a virus which is infected into human thought mosquitoes. Dengue is a very severe kind of illness that necessarily requires treatment. Severe joint pain, headache , vomiting and high fever are the particular symptoms caused by the dengue virus. An individual suffering from Dengue will Field Extremely weak and restless. During the onset of this disease, the patient faces rapid loss of blood platelet as well. · Dengon Capsule is a complete solution to all problems related to Dengue Fever. · It has the perfect mixture of the effective herbs described in Ayurveda as the best anti-inflammatory and anti-allergic Herbs. · These Capsules work together in a effective manner so as to rebuild the immunity against infections which includes energy internally. · Dengon Capsule has the rarest mixture of these Ayurvedic Herbs which effectively fight against the Dengue Virus, Dengue Fever and rejuvenate the body with the help of anti-oxidant. · This overall removes the virus off the immune system and brings about perfect balance and health. 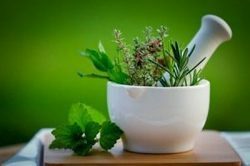 We provide business opportunity in form of PCD Distributorship of Ayurvedic product, we have effectively standardized our strategies for Marketing PCD products. ASTHA CLEAN is herbal ayurvedic capsules which is uses for asthma. its is a natural supplements for asthma. Dietary supplements are substances you might use to add nutrients to your diet or to lower your risk of health problems, like osteoporosisor arthritis. Dietary supplements come in the form of pills, capsules, powders, gel tabs, extracts, or liquids. They might contain vitamins, minerals, fiber, amino acids, herbs or other plants, or enzymes. Sometimes, the ingredients in dietary supplements are added to foods, including drinks. A doctor’s prescription is not needed to buy dietary supplements. Nutritional supplements are any dietary supplement that is intended to provide nutrients that may otherwise not be consumed in sufficient quantities; for example, vitamins, minerals, proteins, amino acids or other nutritional substances. Products are usually ingested in capsule, tablet or liquid form. A vitamin is an organic molecule (or related set of molecules) which is an essential micronutrient, that an organismneeds in small quantities for the proper functioning of its metabolism. Essential nutrients cannot be synthesized in the organism, either at all or not in sufficient quantities, and therefore must be obtained through the diet. Vitamin C can be synthesized by some species but not by others; it is not a vitamin in the first instance but is in the second. The term vitamin does not include the three other groups of essential nutrients: minerals, essential fatty acids, and essential amino acids. Most vitamins are not single molecules, but groups of related molecules called vitamers. For example, vitamin E consists of four tocopherols and four tocotrienols. The thirteen vitamins required by human metabolism are: vitamin A (retinols and carotenoids), vitamin B1 (thiamine), vitamin B2 (riboflavin), vitamin B3 (niacin), vitamin B5(pantothenic acid), vitamin B6 (pyridoxine), vitamin B7 (biotin), vitamin B9 (folic acid or folate), vitamin B12(cobalamins), vitamin C (ascorbic acid), vitamin D (calciferols), vitamin E (tocopherols and tocotrienols), and vitamin K (quinones). Vitamins have diverse biochemical functions. Some forms of vitamin A function as regulators of cell and tissue growth and differentiation. The B complex vitamins function as enzyme cofactors (coenzymes) or the precursors for them. Vitamin D has a hormone-like function as a regulator of mineral metabolism for bones and other organs. Vitamins C and E function as antioxidants. Both deficient and excess intake of a vitamin can potentially cause clinically significant illness; although excess intake of water-soluble vitamins is less likely to do so. Before 1935, the only source of vitamins was from food. If intake of vitamins was lacking, the result was vitamin deficiency and consequent deficiency diseases. Then, commercially produced tablets of yeast-extract vitamin B complex and semi-synthetic vitamin C became available. This was followed in the 1950s by the mass production and marketing of vitamin supplements, including multivitamins, to prevent vitamin deficiencies in the general population. Governments mandated addition of vitamins to staple foods such as flour or milk, referred to as food fortification, to prevent deficiencies.Recommendations for folic acid supplementation during pregnancy reduced risk of infant neural tube defects. Although reducing incidence of vitamin deficiencies clearly has benefits, supplementation is thought to be of little value for healthy people who are consuming a vitamin-adequate diet. The term vitamin is derived from the word vitamine, coined in 1912 by biochemist Casimir Funk, who isolated a complex of micronutrients essential to life, all of which he presumed to be amines. When this presumption was later determined not to be true, the "e" was dropped from the name. All vitamins were discovered (identified) between 1913 and 1948.